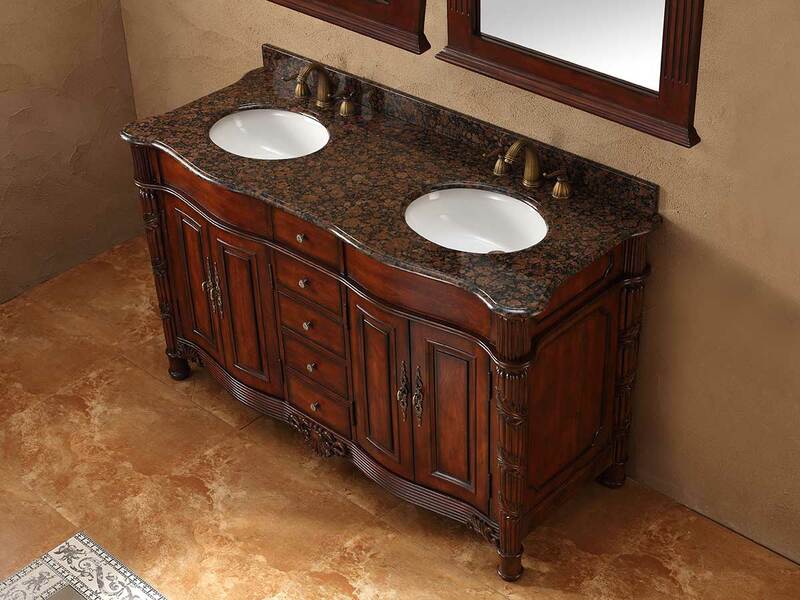 The 60" Pembroke Double Sink Bathroom Vanity is the perfect accent for your traditional bathroom. 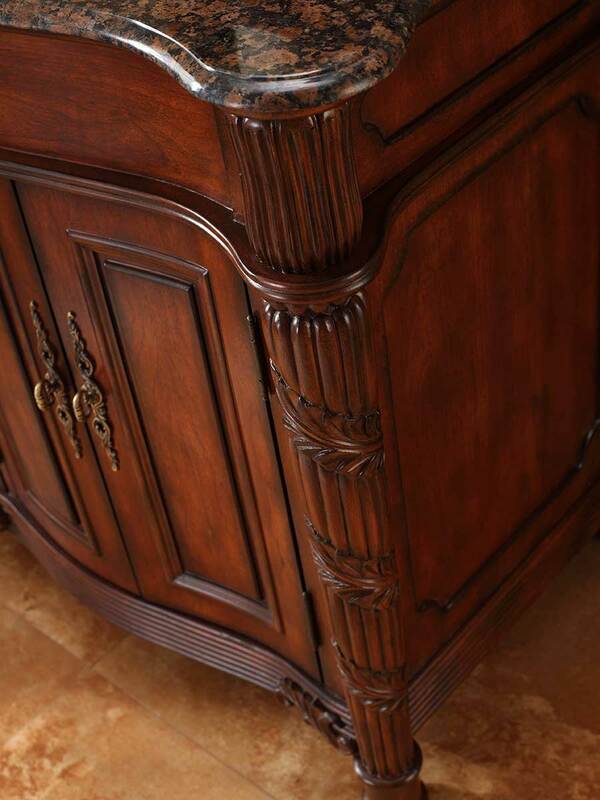 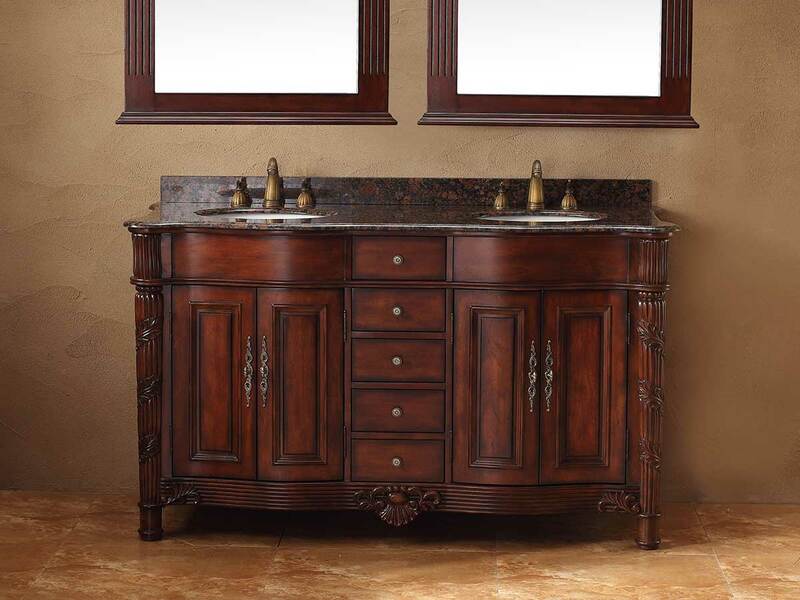 The ornate details in the drawer and cabinet handles coupled with the intricate carvings in the solid birch wood make this bathroom vanity more than a place to wash suds off; the Pembroke is a piece of art. 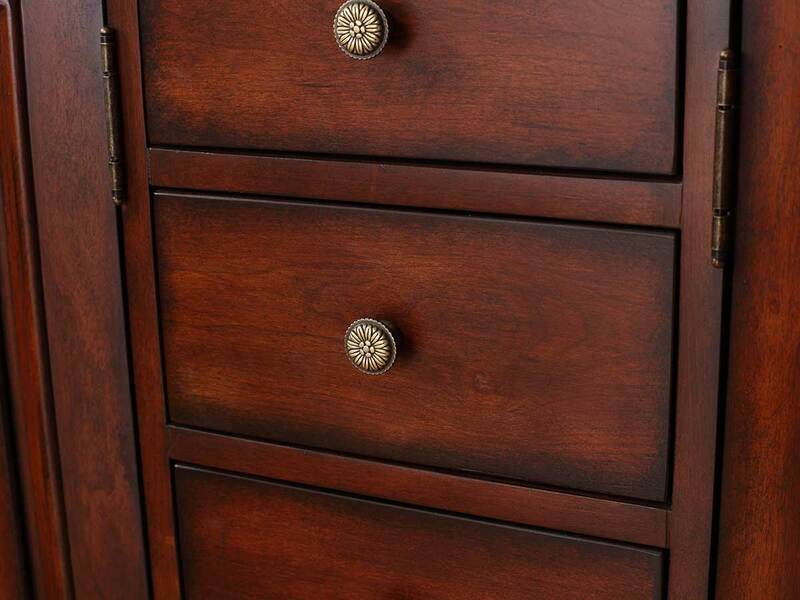 Adding function to this piece are five fully functioning soft-close drawers and four cabinet doors, providing plenty of space. 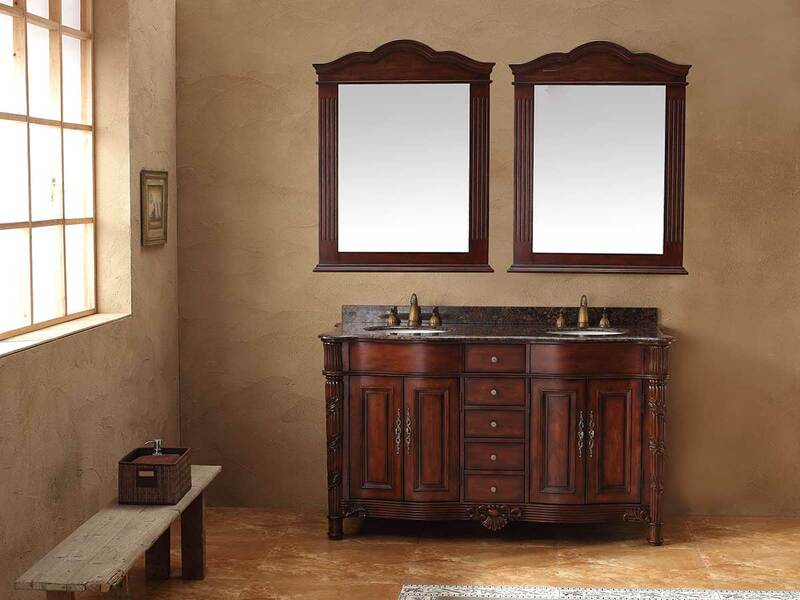 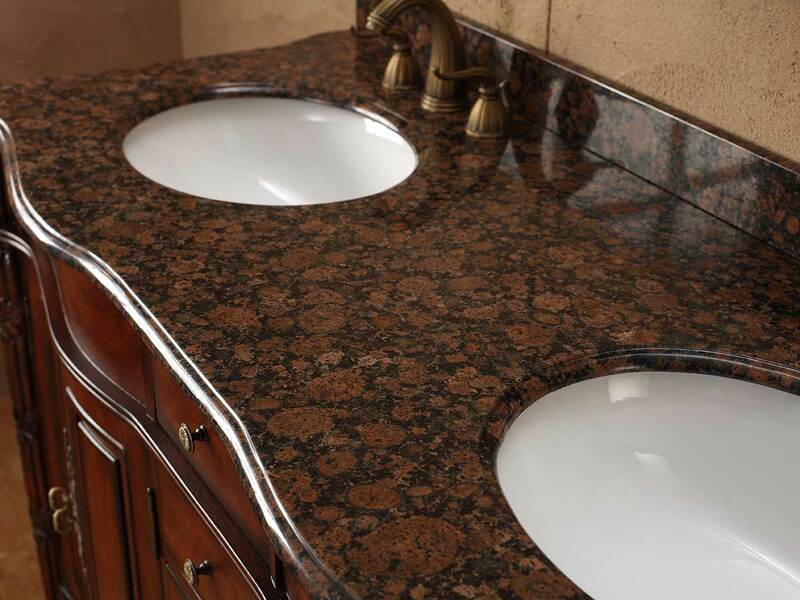 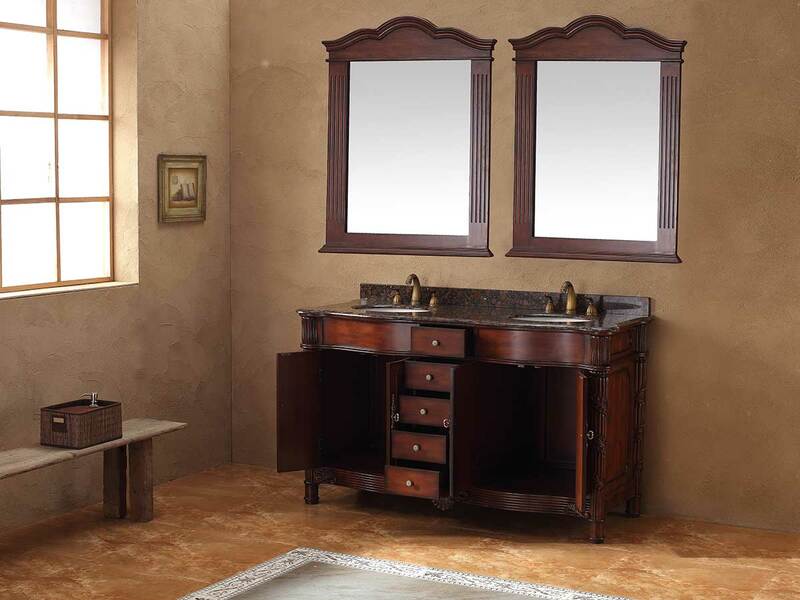 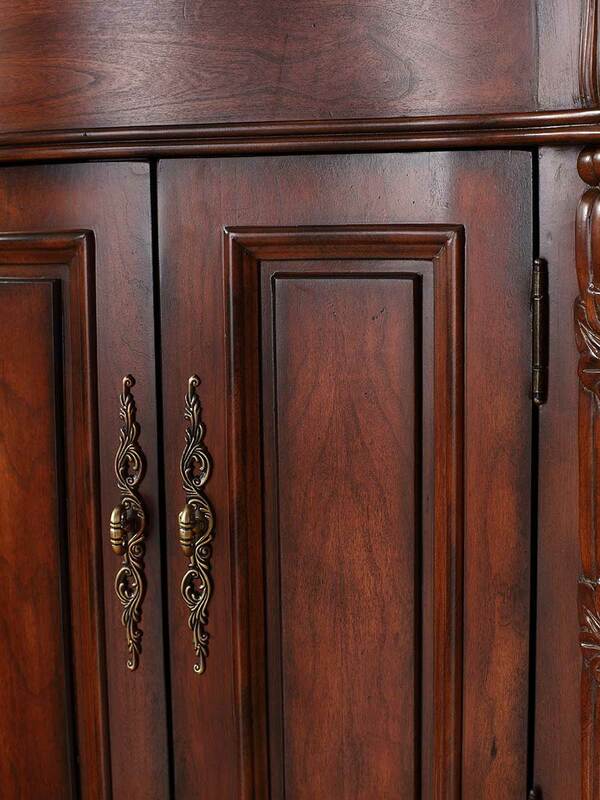 The rich tones this vanity creates will make you and your guests feel like royalty each time you step into the bathroom.